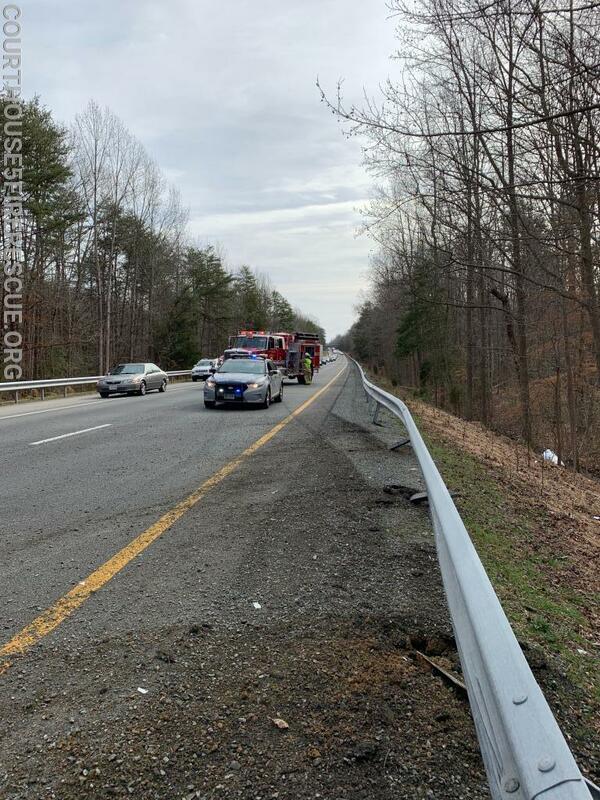 While assisting with a training class on the morning of 02/02/2019, Attack 605 responded to a single vehicle incident on the westbound side of Interstate 64. Attack 605 arrived to find a vehicle that had struck the guardrail and deflected back into the center of the westbound lanes. All traffic was diverted onto the right shoulder to bypass the incident. D.C. D. Dowdy and LT. T. Wilkerson from Company 5 responded, along with FF G. Bostian from Company 3.